In the 1970s, community activists from Newark's Central Ward demanded green space for their community, which had no significant park to call its own. Eventually, land was designated for a park to be named after Nat Turner, leader of a 19th-century slave rebellion. In 2002—almost thirty years after the park was conceived—The Trust for Public Land, the city of Newark, Newark Public Schools, and the Central Ward community launched an effort to bring that vision to reality by finally developing Nat Turner Park. We led the effort, coordinating fundraising, managing the community design process, and overseeing construction. 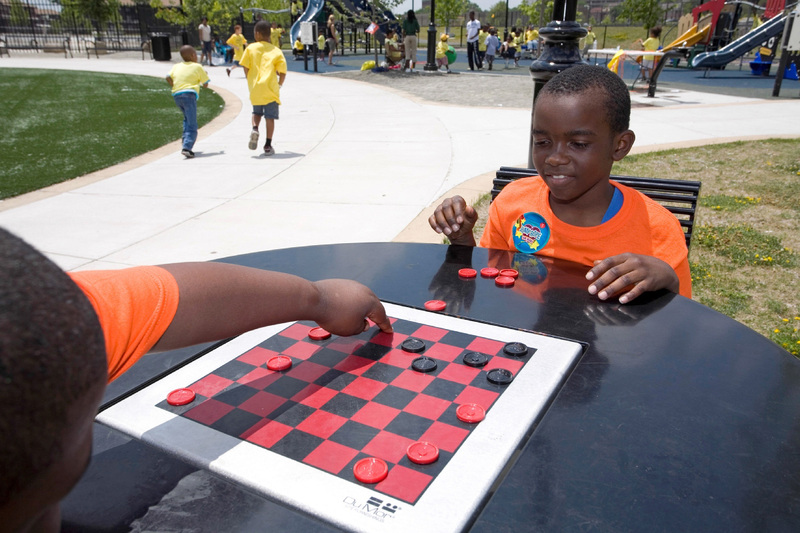 Dedicated in July 2009, Newark's largest city-owned park provides recreational space for a neighborhood of 19,000 people, including 7,000 children.